Will 38-year-old Peter Crouch short-change Burnley? Peter Crouch doesn't mind another shot with the big boys. Peter Crouch is back in the Premier League. After being relegated with Stoke last season, it took the veteran six months to find his way back to the top tier. Without question, Crouch is a respected figure in the Premier League. The English striker is among an elite group who have scored over a century in Premier League goals. He holds the record for most headed goals with 53. That said, an imposing question mark surrounds exactly how much Crouchy can offer his new team, Burnley. The lanky forward is two years away from clocking 40. At that age, most players are either doing punditry or getting their coaching badges. Crouch has another physical attribute on his side, though. He is 6' 7". His return instantly makes him the tallest player in the Division. For anyone who knows how Burnley play their football, it’s easy to understand how Crouch fits into Sean Dyche’s side. The Clarets are known for playing long balls into the area rather than passing it on the ground. It's the only way the old school side is over the top. Burnley rely on their defenders and wingbacks to launch those long balls. Especially the goalkeeper. Per Whoscored, Joe Hart plays 10.8 accurate long balls per game, Tom Heaton 10.8, Ben Mee five and Steven Defour 4.2. It’s no surprise then that Burnley claim 413 accurate crosses. That amounts to 17 per game. Perhaps that’s why Burnley is yet to score a goal from outside the area this term. Of their 25 League goals in 2018-19, 12 have come from the penalty area. The rest were from the six-yard box. Burnley is fifth in the League with seven headed goals. They should do a little better with Crouch in their squad. The 38-year-old is the Premier League’s headmaster. No one knows how to direct pinpoint headers better than the former Liverpool forward. In a team that plays 17 accurate crosses per game, Dyche can't be faulted for bringing in a man who can knock down those crosses or direct them goalward. Following his unveiling, Crouch told Burnley's official website that he ‘feels fit’, trains daily and gets hungrier with age. But we have to face facts here. Crouch isn’t in his 20s or early 30s anymore. For a Premier League footballer, the man is old. However, he has a record to chase. Only Craig Bellamy has played and scored for seven different Premier League clubs. Burnley is Crouch’s seventh Premier League side. He scored for each of the other six. A goal for Burnley would see him match the Welshman’s record. Equaling Bellamy should be a motivating factor for Crouch. It's not often a man his size must look up to someone 5' 9". Expectedly, he should get the goal, maybe a few more. Then what? Burnley risk relegation if they rely too heavily on Crouch. The Clarets are 17th in the League, four points from the drop. It would only take two bad results to sink back into the red zone. Crouch will surely help but he won’t be a saviour for Burnley. You just can't expect that from a forward who managed one goal in 23 appearances for his previous club. It would’ve made more sense if Burnley went for a younger, more explosive player. Or better still, found a way to milk goals from Sam Vokes. For Crouch, his bread has been buttered. He comes in with no pressure on his lean shoulders and gets a chance to prove everyone wrong once again. 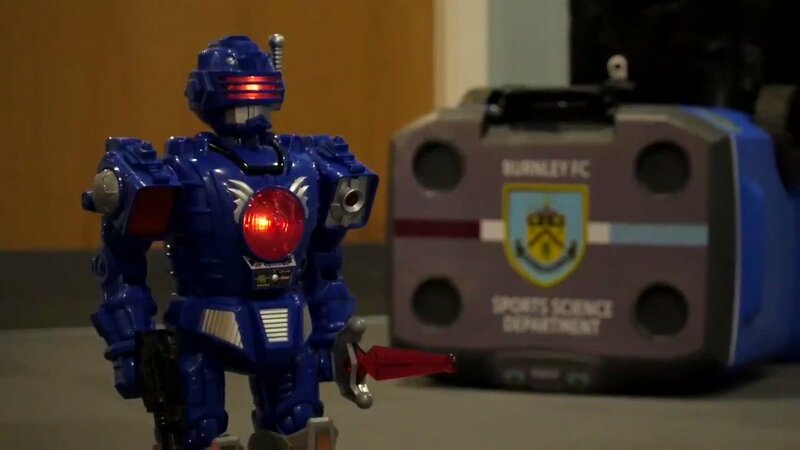 Hopefully, we see that robotic goal celebration. It's the one thing about the man that never gets old.